Think Corn Mazes aren’t hard enough? The Liberty Corn Maze (17607 NE 52nd St., Liberty, Missouri) is hosting Sauced & Lost, a craft beer and wine tasting inside of a corn maze from 6 to 9 p.m. Friday. There will be six stops, each with a different craft beer or wine sample, that you can find by exploring the maze. Tickets are $25. 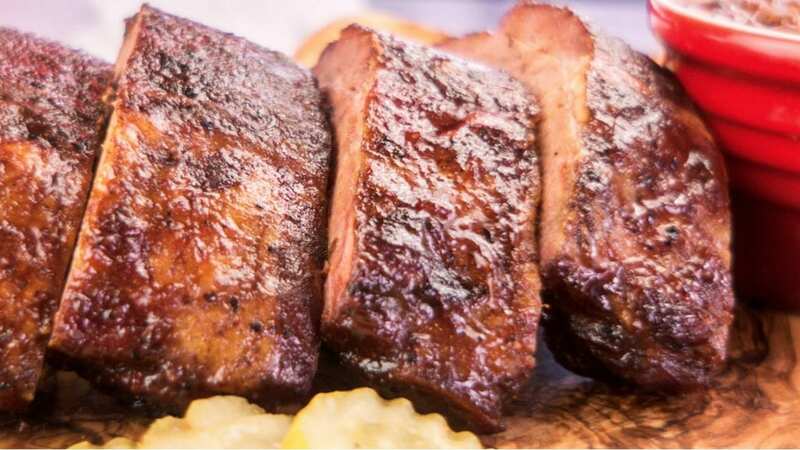 The American Royal World Series of Barbecue is back at the Kansas Speedway (400 Speedway Blvd., Kansas City, Kansas) and runs through Sunday. The gates open at 3 p.m. Friday. There are live music acts, whiskey tasting and a ticketed barbecue tasting (Zarda, Plowboys and Char Bar will be among those sampling). On Saturday, there’s a family fun fest, car show and more barbecue tasting. Fiesta Hispana, put on by the Greater Kansas City Hispanic Heritage Committee, is Friday (5 to 11 p.m.) and Saturday and Sunday (noon to 10 p.m.) at Barney Allis Plaza (12th and Central Streets). The free event, which draws thousands of people downtown, has tons of live acts (folkloric and Spanish dance, Mariachi and Tejano music), activities for kids and food and crafts for sale. There are a pair of bake sales on Saturday morning to benefit No Kid Hungry. The sale in Brookside (6330 Brookside Plaza) runs from 8 a.m. to 2 p.m., while the sale at Mission Farms in Leawood, Kansas, is from 9 a.m. to 3 p.m. Local food personalities, kids and chefs will sell their baked goods to raise money for the charity that fights childhood hunger. Immerse yourself in the world of wine at the third annual Uncorked Festival this Saturday at Union Station. There is an afternoon (2 to 5 p.m.) and evening (6 to 9 p.m.) session. Tickets, which include wine sampling and live music, are $50. VIP tickets ($60) are available for the first session, and those include entry at 1 p.m. Food trucks will also be onsite with food available for purchase. The fourth annual Library in The Park is Saturday from 10 a.m. to 2 p.m. The event, thrown by the Kansas City, Kansas Public Library, is at Big Eleven Lake (1098 State Ave., Kansas City, Kansas) and will feature an appearance by “Crown: An Ode to The Fresh Cut” author Derrick Barnes, as well as a taco contest with tacos from Ninfa’s, Carniceria La Luz, Indios Carbonsitos and Don Antonio. The End of The World Pub Crawl has returned. Make your way between four bars (Brick House, Tower Tavern, Sol Cantina, Ollie’s Local) between 1 and 5 p.m. Saturday in Martini Corner and dodge zombies at this apocalypse-themed crawl. Tickets are $35, which include two drink tickets, a koozie and a flag belt (the zombies try to “capture” your flags). Eat your way across the City Market from 6 to 9 p.m. with the Grub Crawl. The eating version of a pub crawl features more than a dozen of the eateries (Taste of Brazil, The Bite) in the market, including food from the soon-to-open Pigwich and the Local Pig. Tickets are $30. The Shatto Milk Company and Shatto Home Delivery are sponsoring a Free Mooo-vie Night at the park. They’ll be showing “The Sandlot,” from 8 to 10:15 p.m. Saturday on an outdoor screen at Franklin Park in Prairie Village, Kansas.